UPDATE: Thanks to my raising this privacy concern, Apple have resolved this issue as of iOS 10. I’ve left the old post below for posterity. Due to my article on music library security on iOS, I’ve found myself in the position of being misquoted or misunderstood on sites such as AppleInsider (mainly in the comments) with regards to the new media library APIs in iOS 9.3. This article is intended to clear up some misunderstandings that people have about these new APIs. New methods in the Media Player and StoreKit frameworks let you add an Apple Music track to the music library and play it. First, use the SKCloudServiceController API to determine the current capabilities, such as if the device allows playback of Apple Music catalog tracks and the addition of tracks to the library. Then, you can use the MPMediaLibrary method addItemWithProductID:completionHandler: to add a track to the library and the MPMusicPlayerController method setQueueWithStoreIDs: to play a track. Firstly, the StoreKit framework has been updated to include an SKCloudServiceController which basically gives an app the opportunity to request access to a user’s media library and to check if they have the ability to stream Apple Music tracks and / or add those tracks to their iCloud Music library. This API, whilst interesting, has a few issues; the identifiers for music tracks are different for each country so a US track will not play on a UK Apple Music account1. There is also no error handling so it’ll just silently fail if you give it an incorrect identifier or one from the wrong store. The final new addition is to MPMediaLibrary and is a method named addItemWithProductID:completionHandler:. This allows you to add an Apple Music track to the user’s library as long as they gave permission via the SKCloudServiceController and they have a valid Apple Music account. I had some issues getting this working on an iPhone 5c but it worked just fine on an iPad Pro leading me to think this may be an API limited to 64-bit devices (although this is still in beta so that may change). However, the API does not allow you to add MP3s to your library or import Spotify tracks or anything like that; it is just a way to add Apple Music tracks to your library. Why is that useful? The scenario I envision is that it is for apps like Shazam that identify music and then traditionally give you a link to go and see it in Apple Music or the iTunes Store. With this new API, those apps can now add a button such as “add this track to your library?” which will allow them to automatically add the Apple Music track to the media library. I take serious issue with the phrase “Apps that have requested access to your media library will appear here” because it makes it sound like apps require permission to access your library which is just not true. My Music Tracker app continues to work unimpeded on iOS 9.3 with no need to request access and, as demonstrated above, you can start playing streamed music in the Music app without authorization. This is all true as of iOS 9.3 beta 4 so hopefully it may get resolved before the final version of iOS 9.3 is released next month. If you have any queries about how these new APIs work or how they will or won’t affect your media library, please feel free to contact me. There is a new API to give you a storefront identifier (mine is "143444,29") but I'm not sure how you translate to a single language like "gb" for use with the iTunes Search API - if anyone can shed some light on that, please let me know! Update, 10th Mar 2016: Thanks to Loreto Parisi for making me aware of the iTunes Affiliate Link website which contains a full list of the store identifiers and their respective ISO country codes which can be used with the iTunes Search API. I’ve put together a simple class to take care of this automatically. 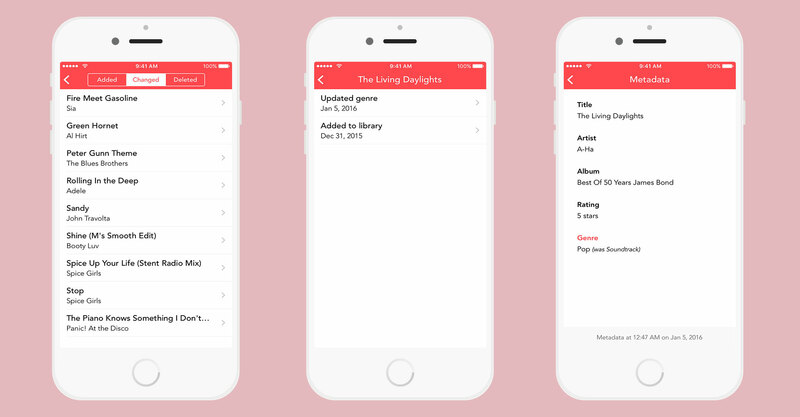 Last week, version 1.1 of both Music Tracker and Pocket Rocket were released in the App Store. The main new feature for Music Tracker v1.1 is native support for iPad. This includes not only the iPad Air and iPad Pro, but also all of the various split-screen modes that can be applied in both portrait and landscape. 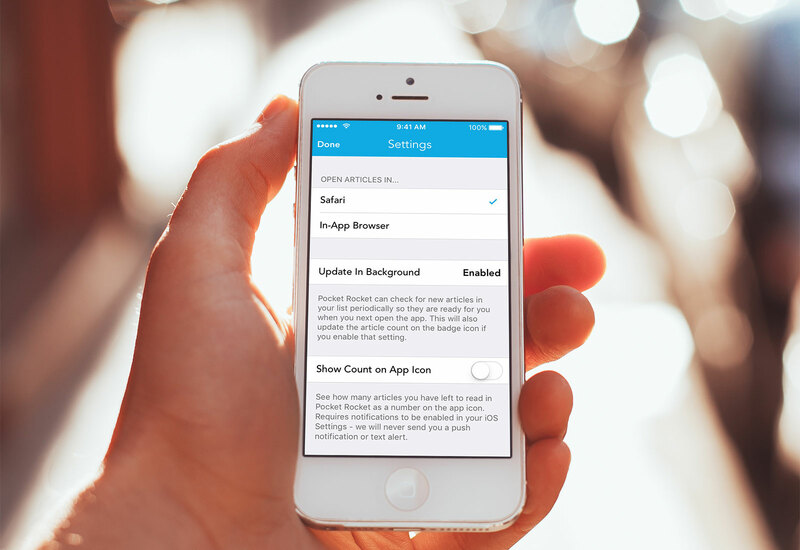 This release also includes landscape support for the iPhone. There were also a few minor bug fixes. I’m aware that a few people with large libraries (anything over ~25000 tracks) are experiencing some performance issues which can cause the automatic tracking to fail; a new update is under development to fix that. If you have a large library and would like to test that release, please let me know. 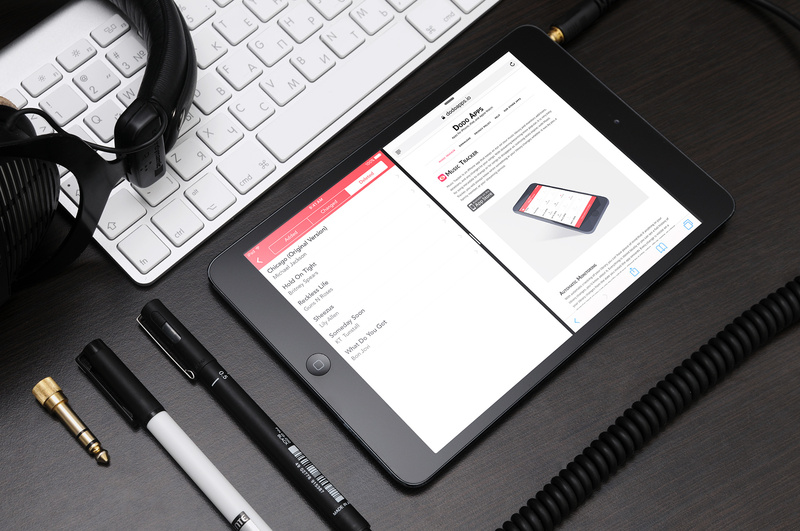 Pocket Rocket v1.1 adds a few features that were requested from existing customers. These include the ability to see the total number of unread articles on the app icon and using Background App Refresh to keep that count up-to-date. There are also a few bug fixes (including a big one that crashed the app with certain query strings in URLs) and a 3D Touch Quick Action (for iPhone 6s) so you can see when the articles were last updated. 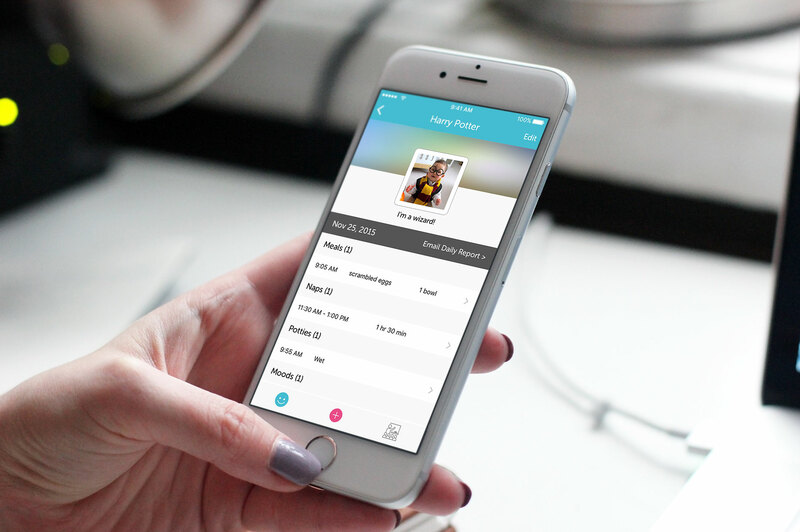 If there are any features you’d like to see added to either Pocket Rocket or Music Tracker, please get in touch. This will clear all of the NSUserDefaults that have been set by your code leaving you with a fresh slate just as if the app had been deleted and reinstalled. You don’t need to update your logout method whenever a new setting gets added and you can be sure that everything is being reset in full. Update: a few people have asked why I perform NSUserDefaults.standardUserDefaults().synchronize() as this should happen automatically. The key word here is should; since iOS 7, NSUserDefaults do not get written to disk as frequently as previously (i.e. when going into the background). With the addition of things like watch extensions, widgets, and keyboards that can all access a shared NSUserDefaults, I find it is always best to perform a sync (which ensures the data is written to disk immediately) as then none of the other aspects of your app or extensions will access invalid data. It doesn’t add any significant performance overhead in my experience but can save you from embarrassing bugs. I’m happy to announce that the new iOS app I built for Calm Radio is now live in the App Store. 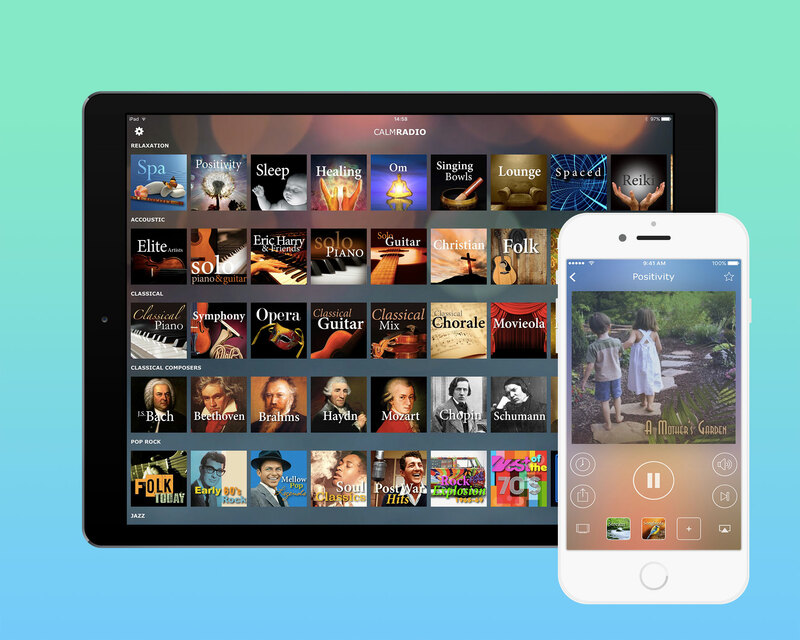 Last month, I announced the launch of the Apple TV app for Calm Radio; the client was so pleased with the end result that they commissioned me to also rebuild their existing universal iOS app. 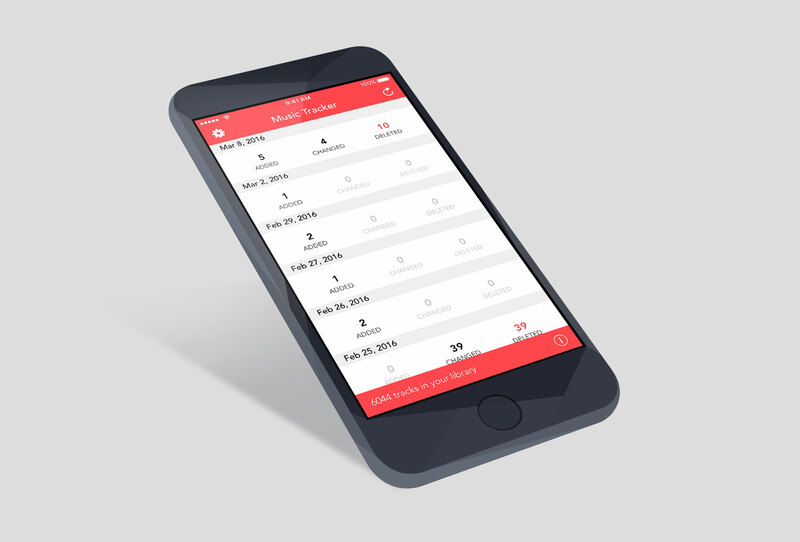 This is a special project for me as I didn’t only build the app from scratch, but I also designed it fully. With the Apple TV app, I took design cues from the stock apps provided by Apple such as Movies and TV Shows; with the iOS app, I’ve taken inspiration from that design and kept the vibrant backgrounds created by blurrding the rich artwork that was available for each channel. As well as the standard playback and support for up to 3 ambient channels, the iOS app adds many features not found in the Apple TV app; an alarm clock, sleep timer, ability to skip track, favouriting channels, and full support for streaming to AirPlay and Chromecast devices. I also included support for 3D Touch by making use of Quick Actions to show your most recently listened to stations directly on the app icon. 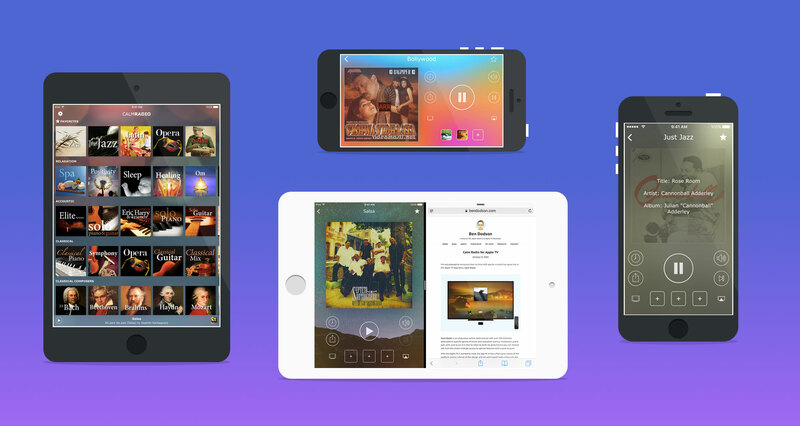 In addition, the app inherits many new features that were first designed for the Apple TV app such as video backgrounds. One of the things I’m most proud of is the adaptability of the UI. The app can run in an incredible 20 different sizes and orientations1 based on the various iPhone and iPad sizes, portrait and landscape support, and the new split-screen modes available to more recent iPads. I’m honoured that my work on the Apple TV app was so well received that I was able to bring the same design and functionality to the Calm Radio iOS app. You can download Calm Radio from the App Store or learn more on their website. The app is free although certain features are limited to paid subscriptions. I’m very happy to announce that my latest self-published app, Music Tracker, is now available on the App Store. Music Tracker is an iPhone app that keeps an eye on your music library and monitors additions, deletions, and any changes to your songs. With streaming becoming more popular, it is very easy for song metadata to change or for songs to disappear as licensing deals expire; with Music Tracker, you will always know when something in your library changes whether it was by you, a family member, or your streaming service. I came up with the idea for Music Tracker after noticing that the amount of songs returned by iTunes was different to that in my Music app on my iPhone. This was due to a song I had in Apple Music that was no longer available in the UK and so had been automatically deleted from my iPhone and greyed out in my iTunes library on my mac. After a quick prototype, I had an app that would run on my phone and keep track of any deletions and additions so I’d be alerted if Apple altered my music. After a few weeks, there were several changes picked up by my app including a few songs that were just plain deleted and some that were completely altered (i.e. I had a studio recording of Uptown Girl by Billy Joel that was switched for a live recording - with Music Tracker, I could see this change and switch it out for a studio recording from a different album). 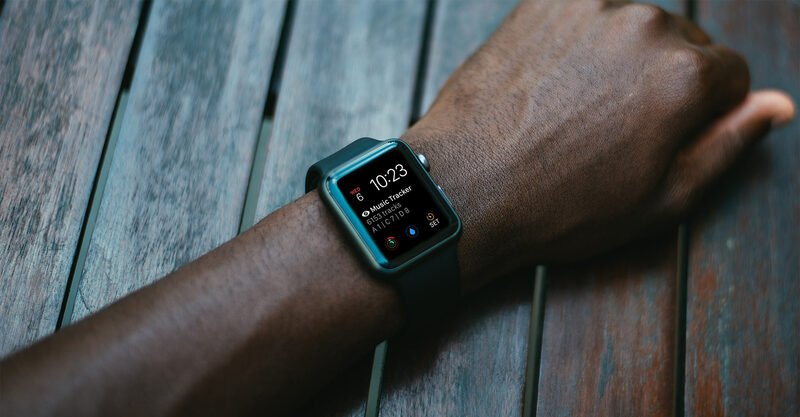 If you enable push notifications, then a silent push notification3 will be sent to your device once an hour that wakes up the app in the background and checks for any changes. This typically lasts around 2 seconds on a standard library of 10000 songs and in my opinion is a pretty clever way of getting around the fact that you can’t schedule background tasks on iOS. If you don’t enable push notifications, the app will make use of Background App Refresh (limited to once per hour) to do an update in the background in a similar way to the silent push notifications. These typically fire when the phone is connected to WiFi and a power source but mileage will vary depending on what apps you have installed (and for that reason I recommend the silent push option). If you go into iPhone settings and disable Background App Refresh, then the only way to update the library is to open the app and pull to refresh (or use the 3D Touch Quick Action if you have an iPhone 6s / 6s Plus). Before finishing the app, I added full 3D touch support (both quick actions and “Peek and Pop”) and a basic Apple Watch app that allows you to see how many songs are in your library, and how many songs have been added, changed, or deleted today (along with name and artist of those tracks). In addition, there is a glance providing this information in a single screen and text-based complications for the Utility, Modular, and Mickey Mouse faces with a quick summary of your library today. This was the first project in which I used Fastlane for the provisioning profile, certificate generation, push notification setup, TestFlight, and iTunes Connect submission and I’d highly recommend it; so much simpler than doing those things manually! The TestFlight beta test was also well worth doing as with something like this I could only really test on a handful of devices but I needed to see load times on other devices and larger libraries - a big thank you to all of my beta testers. Once the app was submitted, I was honestly expecting the app to be rejected but it went straight through review without a problem4. You can download Music Tracker on the App Store (priced at $0.99 / £0.79) and learn more about it on my Dodo Apps website. If you are interested in reviewing Music Tracker or writing an article surrounding the privacy issue, you may can download the media kit which contains more information along with screenshots, mockups, and app icons. If you find Music Tracker useful, I’m always grateful for a review on the App Store. If you run into any issues or have feature requests, you can contact me directly. That’s just a basic example that’ll output the title of every song in your library but there is a lot of danger in that. This process happens completely silently and in my tests I was able to loop through a library of 10000 songs, put all the metadata in a JSON file2, and upload it to a server in under 2 seconds! Your library says a lot about you3. If an advertising company was able to get a complete list of your music library (along with changes to it over time) then they could very easily target you with specific ads. Added a lot of Taylor Swift recently? Here are some ads relevant to that. I’ve no idea if apps are already doing this in the background silently but it is something that shouldn’t be able to happen. To that end, I’ve filed a bug report with Apple (rdar://24168798) to ask that they implement the same privacy controls that they do for contacts, calendars, photos, and location; a prompt when an app tries to access this data and the ability to grant or reject that permission through the system wide settings. Hopefully this is something Apple will implement in iOS 10 – if you’d like to see this happen, please duplicate bug 24168798 in the Apple Bug Reporter as that is the best way to bring it to their attention. 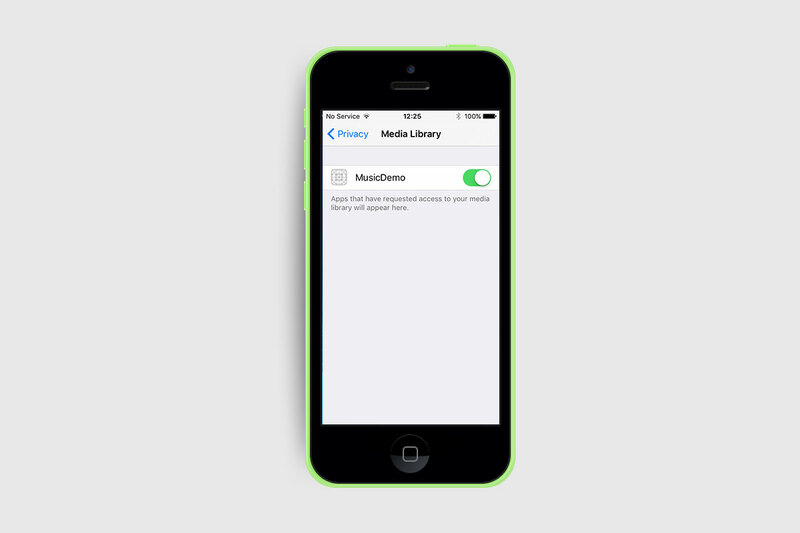 Update, 20th Jan 2016: A few people have pointed out that the first beta of iOS 9.3 does have a new privacy setting for “Media Library”. However, this does not stop the above line of code and read-only access to your library; instead, it is part of a new feature that allows for apps to add songs to your iCloud Music Library but requires your permission to do so. Apps that use the MPMediaQuery above won’t even appear in the Media Library permissions page to disable so this is not the solution some think it is. Update, 23rd Feb 2016: Several articles are now linking to this and picking up on my comments about iOS 9.3 above and horribly misunderstanding what those new APIs do. I’ve published a new article detailing exactly what the new APIs in iOS 9.3 add to the music library (and what they don’t add). As of iOS 9.3 beta 4, there are no privacy controls on scanning your music library and it still works exactly as I’ve described above. Update, 25th March 2016: With the public release of iOS 9.3, this issue is not resolved as per my post last month. Update, 13th June 2016: Thanks to my raising awareness of this issue, iOS 10 (released in beta for developers today) has added full privacy controls for read access to the local media library. I’ll write up a post in the future about how the new APIs work (done). I’m very pleased to announce that another client app I developed recently has gone live in the App Store; Munchkin Report for iPhone. 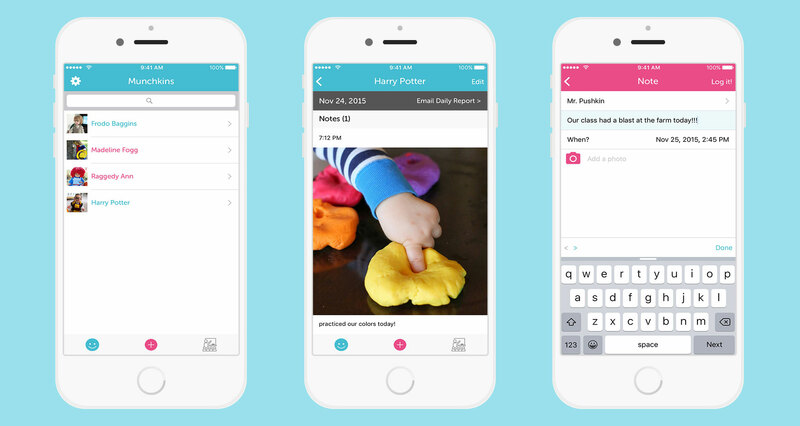 Munchkin Report is an online service that helps you track your child’s moments, big and small. From her first steps to yesterday’s nap schedule, Munchkin Report captures memories, keeps parents and caregivers in-sync, and helps you make informed decisions. It was a real pleasure to work on this app as I was able to work in an incredibly efficient way. The client provided me with a complete API (including full documentation1) and some static wireframes; I was then left to my own devices for a couple of weeks and given creative freedom to build my own design and tweak the UX as I saw fit. In the end I settled on an iOS 7 style minimal design which puts the important information up front and uses bold colours for UI controls. The design is optimised for all four sizes of iPhone from the tiny iPhone 4s to the massive iPhone 6s Plus. It was written in Swift 2.1 and runs on iOS 9.0 and greater. 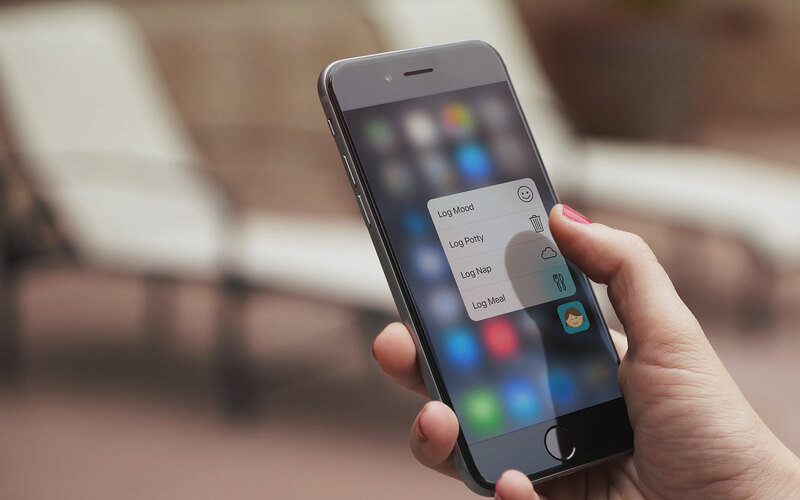 I had just received my iPhone 6s when I started the project so as a little extra2 I added 3D touch quick actions so you can quickly get to the log actions from the home screen. There is also “Peek and Pop” integration throughout. I’m really pleased with the way this app turned out and I think it’ll be a great resource for childcarers and parents. Munchkin Report is free but does require an account from munchkinreport.com (free trials are available). You can download Munchkin Report from the App Store or learn more on their website.